God Nectar by Bad Drip is a blend of delectable fruits that'll shock your tastebuds more than Zeus' lightning. 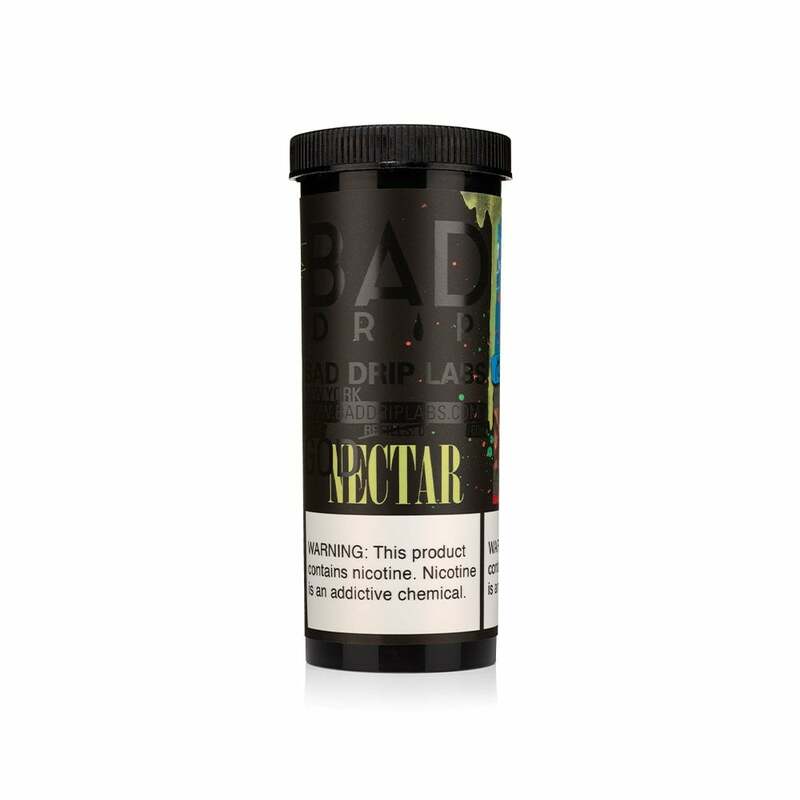 Bad Drip God Nectar's ambrosial blend of exotic passion fruit, juicy mango, flavorful guava and orange offers an unrivaled fruit flavor that can only be described as vapor heaven. It's truly divine. Flavor was good, but the 3mg strength was not enough for me. I gave it to a friend, I think he will like it. Prices on this site are so low I'm not too worried about wasting money trying new things. Plus at least I know this is a good flavor. The sweetest fruit vape juice I’ve ever tried. I typically have to mix several juices to kind of get the flavor I want and this has it all in one. Plus the bottle and smiley handkerchief it comes with is adorable. Love this juice! Great I like the flavor and quality of the product. Very tasty and smooth on the throat.